Home » Headlines » Looking for a yacht charter from Wednesday to Wednesday? Boaters who charter sailboats know that most charter companies only offer rentals from Saturday to Saturday. After many requests for a mid-week boat charter, we now offer you just that. 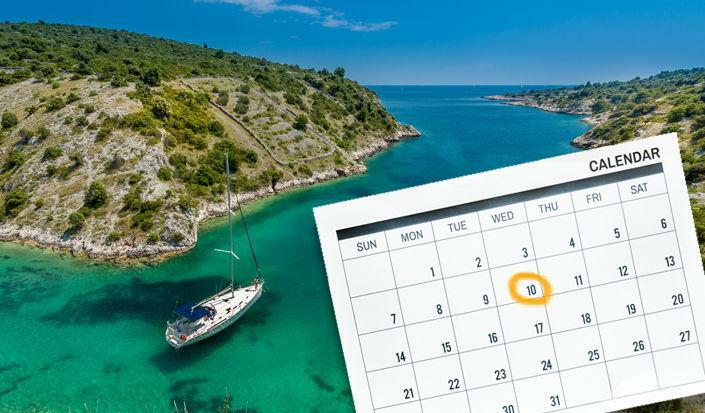 From Punat Marina on Krk Island you can now pick up your boat on Wednesdays. The offer is also available from other select marinas on the Adriatic Coast. In addition, 10-day boat charters are also now possible. For more details and booking requests, please contact us at info@yacht-rent.com.